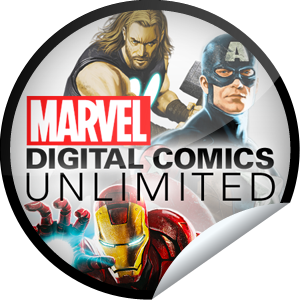 It’s been three-and-a-half years since I reviewed Marvel Digital Comics Unlimited. I’ve been meaning to post an update for some time, and as I’ve been on vacation these past few weeks — and using the service a lot in my downtime — now seems the ideal time! First off, the service has a new name — it is now simply Marvel Unlimited, which is snappier, but no less deceptive, as the service is still limited, though considerably improved over my original review. The single greatest improvement in the service was a rebuild that dispensed with Flash and went cross-platform. That’s right, now I can use Marvel Unlimited on my tablet, which dispenses with about a third of my original criticism. Marvel Unlimited’s “smart panel” system isn’t quite so sharp as Comixology’s, but I find single-page mode on an iPad serves me just fine, given that I can pinch/zoom in on anything I want to see in greater detail. 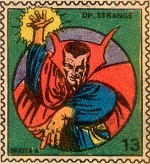 The service has been of great value in capturing images for use here at Longbox Graveyard (and the absence of a similar service accounts for much of the relatively paucity of DC Comics features here at my blog … it takes a lot more effort and expense to read DC product in electronic form). The updated app came with some under-the-hood improvements, too, resulting in faster search and (generally) better stability. The physical search process also seems improved, though some of this might be down to my familiarity with the system, or just lowered expectations. 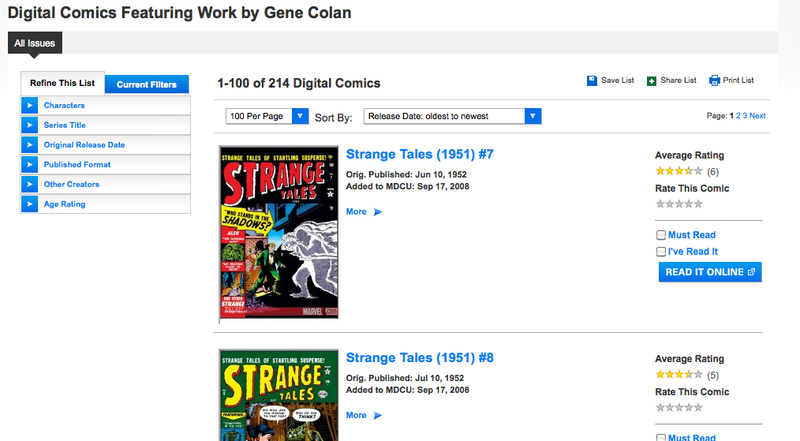 My sense is that Marvel has been cleaning up their search metadata behind-the-scenes, but I haven’t run any benchmark tests, so you are on your own if a routine search turns up twelve separate entries for Don Heck (horrors!). A very welcome addition is the option to search by date, which lets me set the Wayback Machine for (say) 1978 and see all the comics on offer for that year. I LOVE this feature, as it lets me dive directly into eras of interest, and even kinda-sorta read books in the order they came out, should I wish to experience a past year on a month-to-month basis. This is an indispensable feature — the kind that makes me wonder how I ever went without it. Well done! The “Must Reads” search workaround I mentioned in my previous review is no longer available (at least on tablet, which is the only place I use this service now) — in its place is a “Library” option, which is supposed to let you download up to twelve comics at a time to read offline, a theoretically useful feature for plane or car trips. I say, “theoretically,” because I can’t get the bloody thing to work. Kind of damning to read instructions about how I can read comics offline on the same screen that chastises me for not having an internet connection, no? This may well be down to user error. Or maybe it just flat out doesn’t work. Otherwise, the experience has improved in every way. Upon completing an issue, the option is available to jump directly to the next issue in line, a very welcome feature for long series re-reads. The ability to rate books or try to share them with friends is gone, and un-missed. The front-end has nice new features like spotlight sections, with the most recently-released content displayed front-and-center (and alerts about new content rolling onto the system can also be pushed to you via email updates). Content is still king on this app — everything I lauded in my original review of the service is still here, plus seemingly every new book Marvel has published since, with the significant caveat that the system lags approximately six months behind print. You can think of Marvel Unlimited as the home video release of theatrical movies … and just as with the movies, if you can wean yourself of seeing everything when it comes out day-and-date, you can enjoy a lot of content for a fraction of the price. For your humble narrator — stuck as I am in the year of 1978 — being “only” six month behind the times is so far into the future that it gives me a nosebleed! In other words, I’m fine with it, even for new books. Like many readers, I am looking forward to Marvel’s Even-Newer-And-This-Time-We-Mean-It relaunch … but I will be enjoying it in the Spring, instead of the Fall! Archival gaps have been slower to close. Marvel’s Star Wars books recently appeared on the service, but frustrating omissions from decades past remain (I am still flummoxed that Marvel’s monster books from the 70s are so few and far between). Very occasionally I will get notice that new issues of an old book have been filled in, but mostly I’ve adjusted my expectations and use the service for reading newer issues. Marvel Unlimited helped me come to terms with my conflicted feelings about Brian Michael Bendis by reading his work in long digital binges (where he shines) — I even bit the bullet and detoured into Battle of the Atom when it interrupted my long 40-issue read of Uncanny X-Men. It would have been nice if those Battle of the Atom issues were threaded one to the next, so I didn’t have to search up each title in order and by hand … but you can’t have everything! my kingdom for an interactive checklist! In a lot of ways, my Marvel Unlimited service has been like a gym membership. There have been times when I’ve used it religiously, and then long gaps when I forgotten I’ve paid for the damn thing. If my credit card had aged out and the service had failed to renew, I might not have missed it … until the time came that I wanted to look as some specific issue of such-and-so, when Marvel Unlimited proves itself very much indispensable. I suppose I could cancel out my sub and pop in-and-out with trail memberships from disposable email addresses, but that is a churlish way to treat this service. There is good content here, and I’m happy to pay for it (and I will keep a candle burring in the window in hopes of DC offering a similar platform someday). I might even double-down and get a retina-display iPad specifically for Marvel Unlimited … or better yet, wait on the super-sized tablets Apple supposedly has in the pipeline, which strike me as possibly the best way yet to read digital comics. But even with my “old” iPad, I am still a fan of Marvel Unlimited; I think it is worth a subscription, and it is certainly worth a tryout for whatever app is native to your device. And now, if you will excuse me, I need to return to my Bendis-era Uncanny X-Men re-read. It might be 2013 in that particular series, but it’s all new to me! Nice to know my digital comics rant and podcast are ringing through the hallowed halls of the vast digital comic book establishment! Thanks for reading, listening, and commenting, Slim! 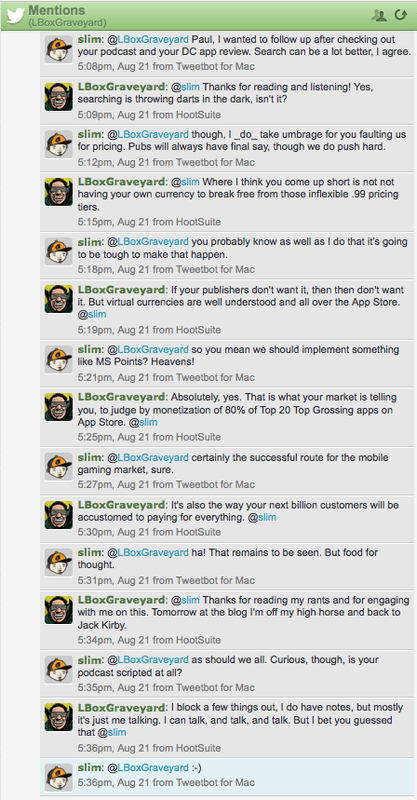 Last week I exhumed my rant about digital comics and the state of the comic book marketplace. This week, Longbox Graveyard looks at DC Comics’ “born digital” Legends of the Dark Knight comic series. That’s right — Longbox Graveyard is reviewing a book from the present century. And it doesn’t even come on paper! 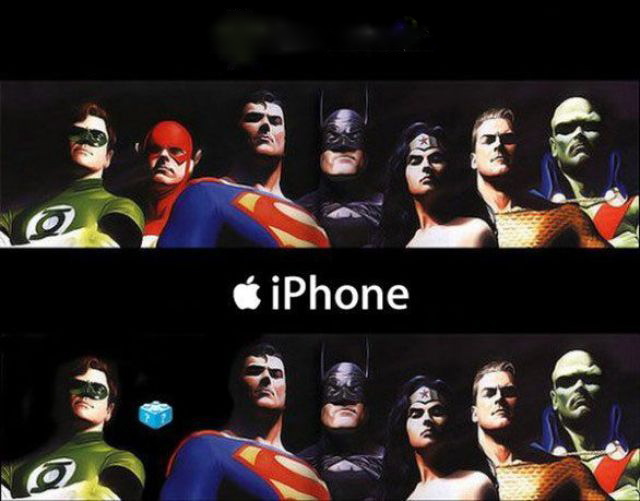 Despite my love for comics of the past, I help run an iPhone developer and I write this comics blog, so that kind of puts me in the bullseye for digital comics whether I like it or not. 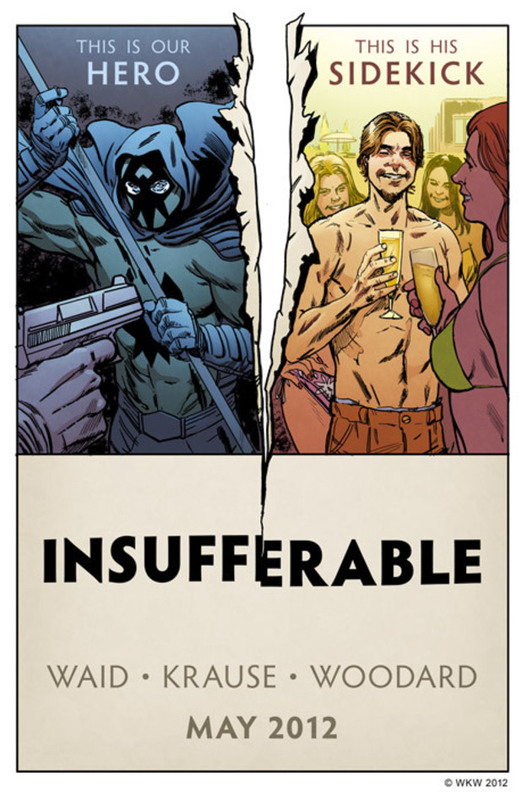 I’m enjoying Insufferable over at Mark Waid’s Thrillbent site, and even allowing for substantial interface issues, I remain a fan of Marvel’s Digital Comics Unlimited subscription service. I also recommend Operation Ajax for iPad as a “concept car” for the way technology and graphic story telling can come together. 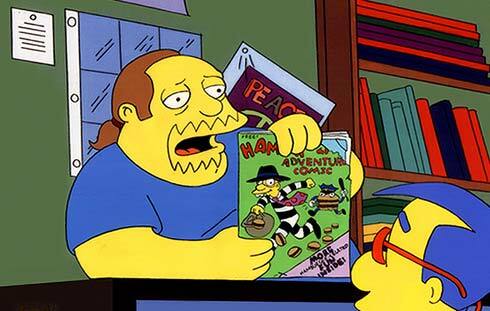 I’d like to have a weekly comic book fix — I just don’t want to trek to a comic store and pay $3.99 an issue to get it. So my little bat ears perked up when I learned DC Comics was launching a new, out-of-continuity Batman series, to be published weekly in digital form, for .99 each. Weekly installments, low price point, a character I like, and digital delivery! OK, DC Comics, you got me back. Now … can you keep me? 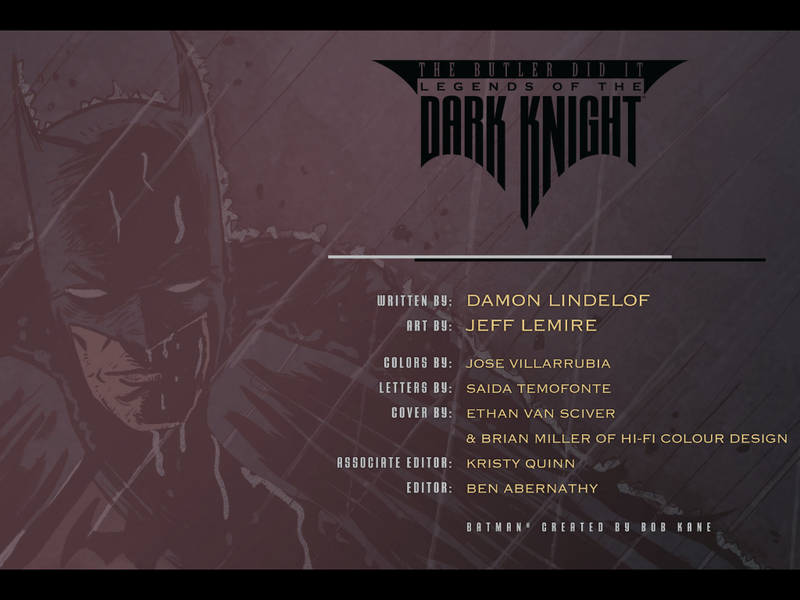 Reviewing Legends of the Dark Knight requires looking at the title from two different angles — technology and content. Let’s tackle the tech first. Legends of the Dark Knight on iOS is delivered via DC Comics’ own app, which is a branded version of the Comixology store app (Marvel uses the same platform in their own branded app). The DC Comics app isn’t a store so much as a storefront — all billing and downloads are handled through Apple’s iTunes, which means all the app has to do is provide a clear and attractive marketplace for browsing and placing orders. In this the app comes up a little short. 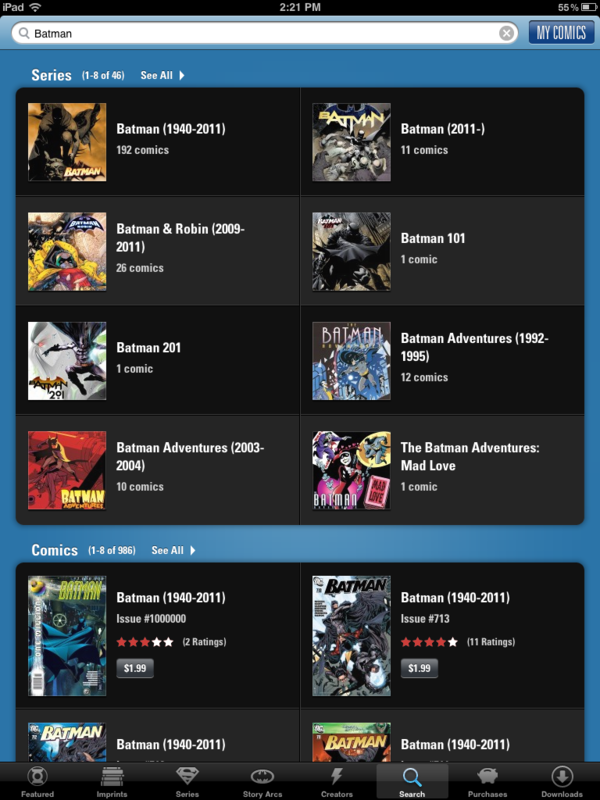 Having learned about the series from DC’s blog I came to the DC Comics app eager for some digital Batman. I didn’t come to this series in the first week and so missed any special banners or promotion that might have run trumpeting this new series, and had to search the book up on my own. That’s a lot of Batman, and the priority of the search results didn’t help. I’m a new digital customer, looking for Batman — I would expect DC’s new, digital-only Batman series to receive priority in search results. Certainly it should appear before hits for series that concluded in 1995 or 2004. Seeing that I was viewing just a fraction of the 46 series on offer and the 986 issues available, I was ready to give up on the whole enterprise, but instead went outside the app to DC’s blog, confirmed the title of the series, returned to the app, and then found it by searching for “Legends of the Dark Knight.” This brought up the title I wanted, though I still had to distinguish between this new original series and the digital version of a legacy print title with a similar name that breathed its last in 2007. This is asking a lot of customers — someone vaguely hearing of a new digital Batman book would certainly be thwarted coming to the store and trying to find Legends of the Dark Knight by browsing. Search is complicated, and it’s a bugaboo for the whole Apple ecosystem, but the DC Comics app earns poor grades in this aspect. A storefront that can’t quickly and efficiently connect a customer with their product is failing its most basic function. Having recently endured his instantly-forgetable Prometheus, seeing Lindelof’s name on the masthead did not inspire confidence. But the story proved better than I expected, though it was too reliant on a long, talking head sequence, and I didn’t buy the twist ending. 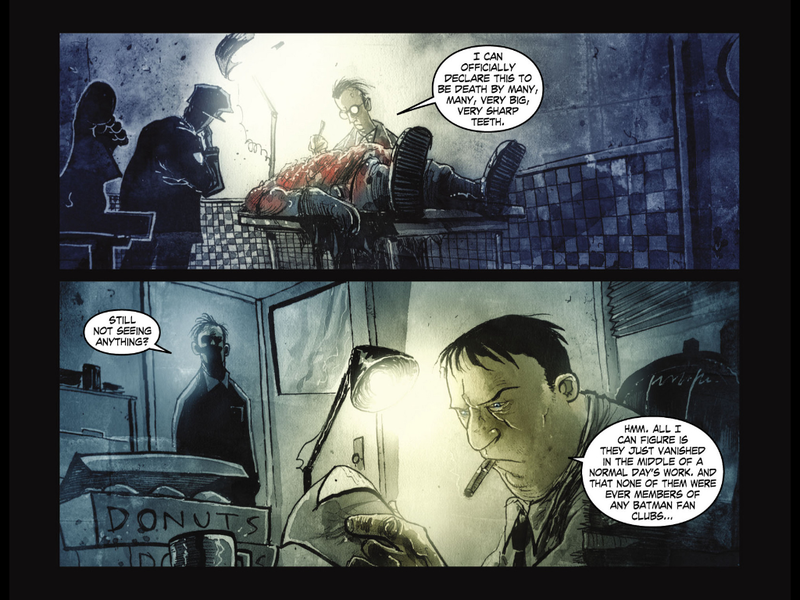 The art was kind of sketchy but that’s down to taste rather than execution, and I know Jeff Lemire has his fans. 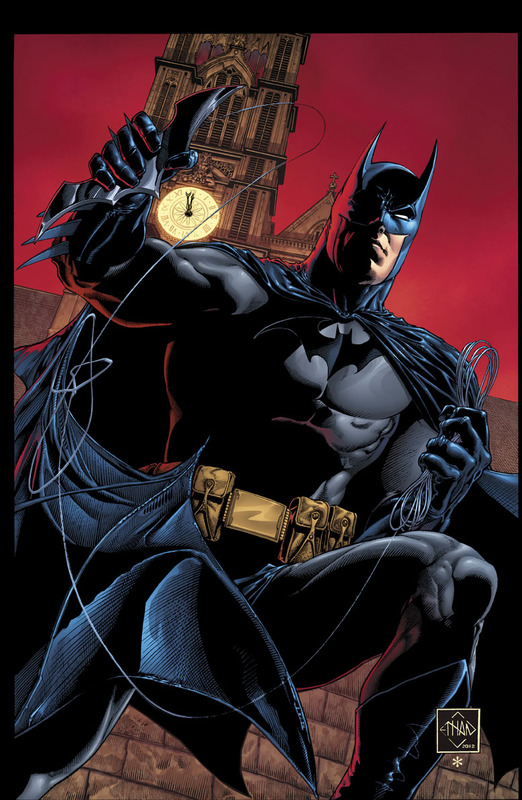 In all the first issue was a tightly-constructed and clever one-and-done story, and for all the ballyhoo of The New 52, as a lapsed Batman fan I found it a better jumping on point that the Batman Vol.1: Court of Owls graphic novel that I read last June. In fact I liked it well enough that I exclaimed so out loud, and my office partner, Chris Ulm, sitting just across the desk from me, overheard and we struck up a conversation about the book, and DC’s new digital initiative, and he was instantly eager to check it out. Here I encountered another technology problem. Short of my physically handing Ulm my iPad, there was no easy way for me to share Legends of the Dark Knight with him. There was a “Tap to Rate” option on the last page of the story, where I could give the tale between one and five stars, but no means of sharing this story via email or social networks. No Facebook or Twitter buttons, no “recommend to a friend” link, not even a URL that I could copy and paste and send to Chris. Nuthin’. As an evangelist who navigated the app’s search functionality to find the one book among thousands I actually wanted, I was provided zero help in sharing my enthusiasm with another likely customer. As the kids say: FAIL! At this point, though, I’ve paid the opportunity cost of hunting up the book, and getting it onto my iPad, and I liked it well enough. I was sold on the .99 price and weekly frequency, and so looked forward to sticking with the series, even if I wouldn’t be sharing it anywhere outside of Longbox Graveyard. The book wasn’t going to make me forget Frank Miller, and there weren’t a lot of bells and whistles in the way the technology was used to tell the story, but not everything has to be Operation Ajax. The lack of continuity with the rest of the DC line might be considered an inadequacy, but for me it is a benefit — and in fact at the first hint of a cross-over, reboot, or line-wide editorial mega-event, I’m gone, baby! No, I like Legends of the Dark Knight just fine the way it is — a bat-specific shaped-charge perfectly suited to penetrate my Armor of Jadedness and get me back into a weekly comic book habit. Issue two was another entertaining one-and-done story, this time by Jonathan Larsen and J.G. Jones. 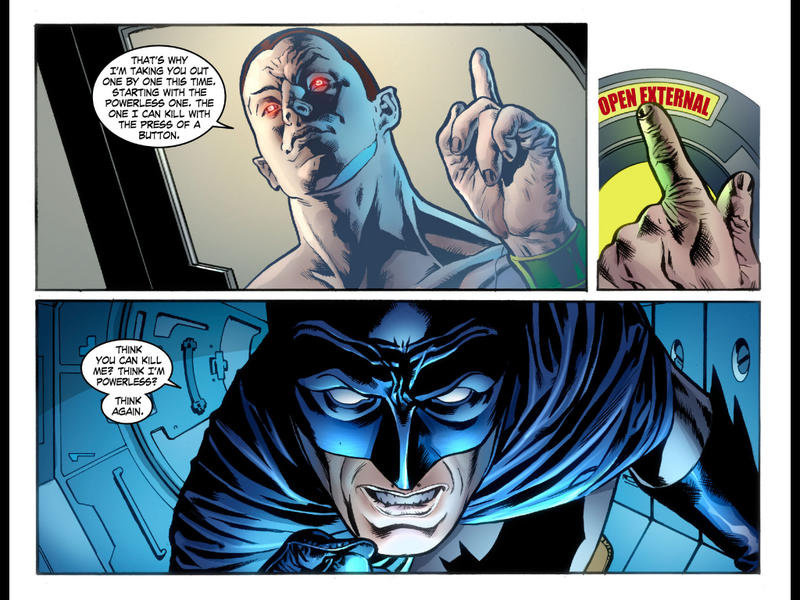 This tale pit Batman against Amazo, a “sentient android possessing all of the (Justice) League’s superpowers.” A mismatch on paper, the story showed how Batman used brains and grit to defeat Amazo — and by proxy, prove himself superior to his superpowered Justice League colleagues. Clever, groovy, well-told, and it didn’t overstay it’s welcome. I can already see that the reduced page count and single-issue focus of this series is forcing creators to produce crisp tales, with little of the decompressed, “write for the trade edition” pace that frequently reduces my enjoyment of modern comic books. By the time the third issue rolls around, it’s fair to say I’m a fan. Legends of the Dark Knight has helped establish a little Thursday digital routine for me. Instead of spending my lunch hour with a Marvel digital moldy oldie, now I’m looking forward to a fresh new Batman episode on my iPad. Neat! I do enough customer support for my own iOS firm to know that download errors rarely have anything to do with the app itself. They’re usually upstream at Apple. 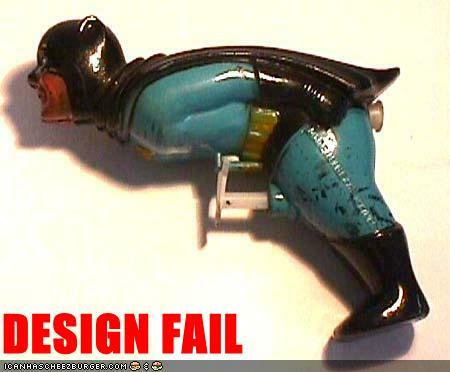 Still, it was disappointing to want some Batman on my lunch hour only to be thwarted by a vague download error message. An advantage of digital comics is that they should be available at any hour, instantly, and that they never sell out. We’re not there yet. An hour or two later and my download was approved, and it was worth the wait. 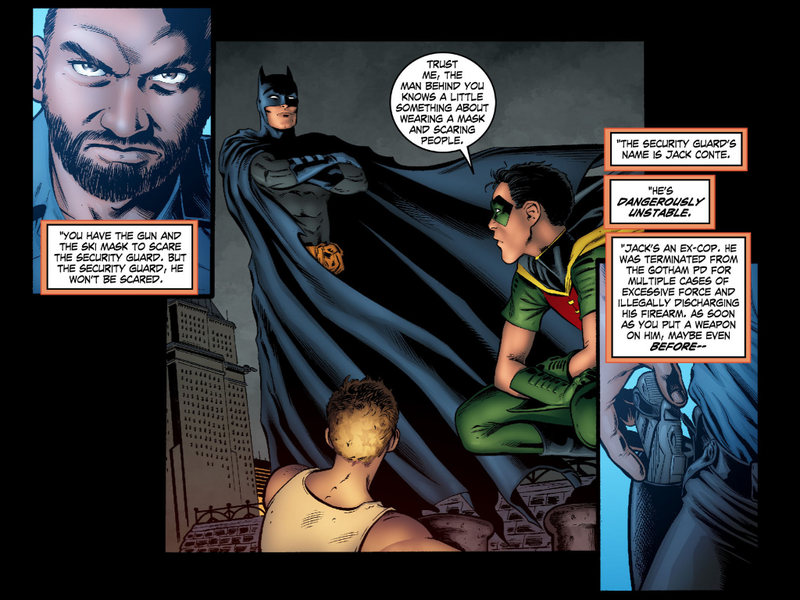 This third installment — by Tom Taylor and Nicola Scott — is a gimmick story, but it’s a good gimmick, as Batman (and Robin, yay!) do a little data mining to stop a crime before it happens. I’ve always liked these street-level stories that try to get into the psychology of Gotham’s criminals, and in it’s tone this tale reminded me of the 1980s stories that Doug Moench used to tell so well. One jarring flaw was hearing Robin refer to “hiring” a car — we “rent” them over here in the States, but author Tom Taylor is an Aussie and can be forgiven that colliqualism (while we lay the body at the door of DC’s editorial). Following these three single issue tales came two three-part tales. First up was “Crisis in Identity” by B. Clay Moore and Ben Templesmith, which has been my personal favorite arc of this young series. This was a lacanoic and darkly-humorous take on the Joker’s plot to unhinge Batman by hypnotizing select Gotham citizens into thinking they were Batman, then setting them loose to battle Killer Crock, with predictably fatal results. 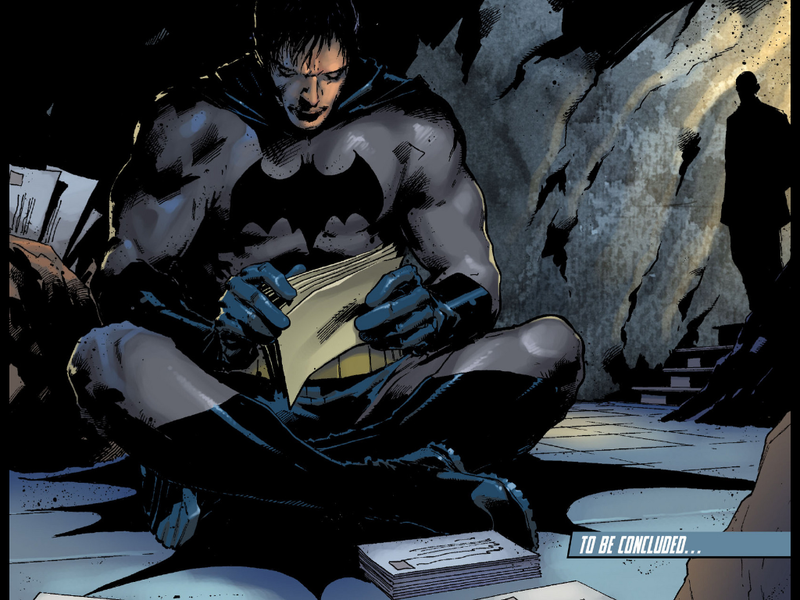 Then came the three-part “Letters to Batman” by Steve Niles and Trevor Hairsine, which revolved around the tales exhumed from sacks of letters sent to Gotham City Hall by the city’s citizens, thanking Batman for his thankless service. Author Steve Niles weaves his epistilary plot-lines together nicely and provides an unexpected judo-flip when one of the letters comes from an otherwise annonymous criminal opponent of Batman, but I found the final installment confusing — not understanding how Batman deduced where to find the bad guys from the letters he was reading — and I think this tale suffered a bit from also featuring the Joker, who maybe needed some time to cool down after having just been at the heart of the previous arc. Calling these multi-issue stories “arcs” is a bit of a misnomer. 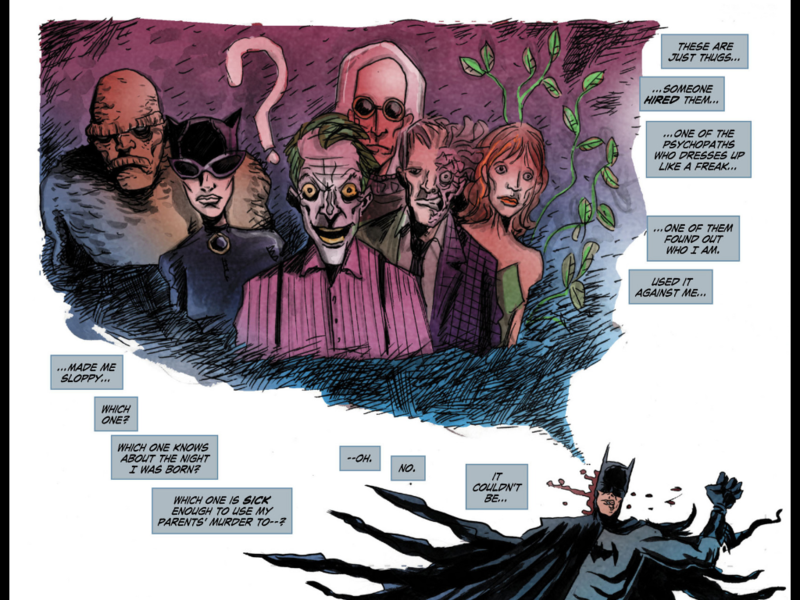 Each installment of Legends of the Dark Knight clocks in at 22 pages … but those pages are formatted to fit the landscape orientation of an iPad, and so it might be more accurate to say that each issue is about eleven pages long, based on an equivalent print comic. That means a “three part” story runs around thirty print pages, which is longer than a single print comic, but still well short of a graphic novel or trade paperback. Actually this feels like a good length to let the story breathe a bit and permit creators to explore their idea while not being so long that the tale gets flabby or stale. The serial nature of weekly distribution also ensures each story hits a little climax every dozen “pages” or so. On balance, Legends of the Dark Knight has been a bit better than I expected. I would likely hold a print book to a higher standard, but as an inexpensive and easy weekly Batman fix, this series pushes all the right buttons for me. Niggling technology issues aside, I expect I will keep my weekly lunch date with the Bat … so long as DC can resist rebooting or retconning the book! Kids these days may be all about the New 52 but I’m the Old 50 and I can only take so much change. Enjoy Legends of the Dark Knight … and stay off my lawn, you rotten kids! I’ve been a comics fan and reader since the early 1970s. I left comics in the 1990s and have only this past year returned, but my interest is confined to nostalgia — today’s books don’t really interest me, which I think is a problem both for me and for publishers, as I am affluent reader with two kids who might pick up the hobby but the current approach at Marvel and DC holds limited appeal for us. I worked briefly as a writer on some non-Marvel/DC books decades ago, and I still have friends in the business, but I don’t think either one of those things gives me any special insight into what’s happening in comics today. However, since 2008 I have been partners in an iOS publisher and developer, and that DOES give me special insight into the digital world, at least in the apps publishing space. I have two problems with the digital programs now on offer from the “Big Two.” One is editorial, and the other is with the marketplace. The marketplace issue is the easiest to address. First off, there may not be a marketplace issue. 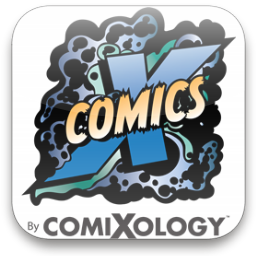 As of March 2012, ComiXology is on record saying they’ve shipped 50M comics through their app, and they make frequent appearances on the iPad Top Grossing lists in the United States. Maybe Marvel and DC have managed to dig a flaming, gasoline-filled trench around their digital IP and will be able to keep their prices artificially high. Speaking as a publisher who has to work to give away free games that pack hundreds of hours of content … if they can do that, then I say more power to them! Speaking as a digital entrepreneur, my view is that publishers could be leaving money on the table due to inflexible pricing, a creaky storefront, too many partners (DC and Marvel must share revenue with Apple and ComiXology with their current apps) and cross-platform incompatibility that erects an artificial wall between new books and the catalog offerings of Marvel’s Digital Unlimited service. Were I running the digital initiative for Marvel or DC I would ween myself from ComiXology as soon as possible in favor of my own publishing platform, built around microtransactions with in-app currency (to allow more flexibility in pricing and bundling), with laser-sharp metrics closely watching reader behaviors to guide future business decisions. I’d also leverage comics as a social platform by opening up the sharing possibilities of digital books and empowering readers to evangelize their passion by migrating the “collecting” experience from the physical act of owning books to virtual achievements built around viewing and sharing digital comics, with an eye toward restoring comic books as the brand leader for superheroes, instead of the trailing appendage they’ve become in this era of better than a billion dollar box office superhero movies (while equivalent books sell in the hundred thousand copies range). This might already be in the works. A recent report put ComiXology’s “gross merchandise value” for 2011 at nineteen million dollars, with that number projected to jump to $70M in 2012. With that kind of money on the table, Marvel and DC can certainly afford to build and control their own platforms (and in fact they can’t afford not to). A simpler solution would be for Marvel and/or DC to buy ComiXology outright, and it wouldn’t surprise me at all to see this happen. The bigger problem is on the editorial side of the business, which is stuck with largely the same playbook they’ve been running for the last three decades. The freemium digital marketplace I’m advocating only make sense if you can reach a mass audience — a truly digital approach to content and monetization will work only when your audience numbers in the tens or hundreds of millions. Evidence suggests the current system works to some degree for a market where the top print book struggles to sell 200K copies. The question is whether that market can ever be brought back to the levels of prior decades. If they think there is a mass digital audience out there, then it is an inevitability that DC and Marvel will have to stop price protecting their print retail partners and adopt lower prices for their digital offerings. I’m in my fourth year in the iOS business and I have seen the “Race To Zero” first-hand (with my own money on the line). It’s gotten so even .99 is considered a “premium” price, and you have to work to give away free apps. In truth, even “free” costs too much these days. The danger for comic publishers is that it may be too late for them. The market may be so damaged and diminished that it is no longer possible to tap into a mass audience by dropping prices to .99 or free. If the worldwide market for superhero comics really has collapsed to a half-million or so hardcores buying DC and Marvel print titles each month then the free market just won’t work — you’d need ten times that many people interested in digital books to make a profitable business off the 5% of your customers that you will monetize through free distribution. There would be some organic lift from getting free books into more people’s hands — and thus spreading your brand to a collateral audience — but I think the editorial problem at Marvel and DC is pathological enough that just getting the books into peoples’ hands won’t be enough. The content has become too dense, self-referential, and fringe to work as mass entertainment. 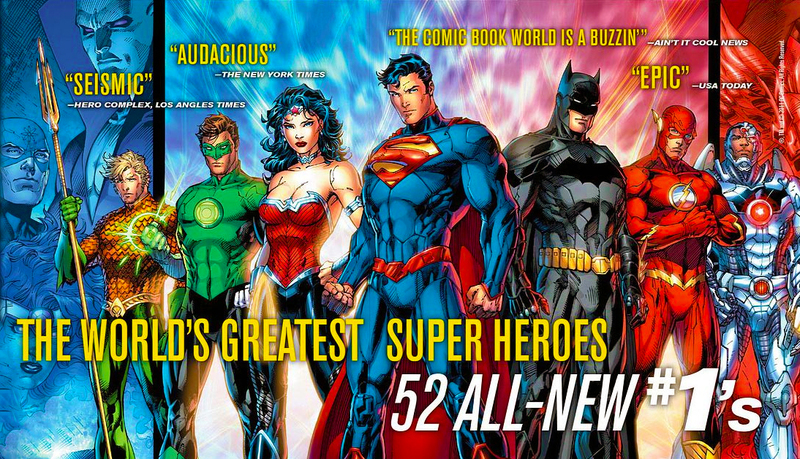 Witness DC’s “New 52” reboot — presented as a means of making DC’s line more friendly to new readers — which after an initial surge of interest appears to have posted only modest readership gains in the long run (though there are encouraging indications the market is coming back). So if there is no reaching new readers, then it is actually best for Marvel and DC to do what they’re doing — circle the wagons, hold the price line as long as they can, and fight a delaying action until the publishers as we know them are closed down and their properties are licensed out to smaller shops. Paramount and Hasbro both have comic books without being in the comic book business — might Marvel and DC ultimately elect to go the same route? Marvel and to a lesser extent DC have already realized they are in the “superhero” business rather than the “comics” business and are reorganizing their operations accordingly. I have friends who will lose jobs when this happens and it gives me little joy to say it, but markets are never wrong — the music, publishing, and software businesses have already been disrupted, and there’s no reason to expect comics will be any different. The collapse of Borders and Blockbuster are just two of the earliest and most visible casualties in the digital disruption of entertainment. There will be a pile of bodies on the field before this shakes out. The indie side of digital offers some opportunities but will be hamstrung by the absence of meaningful brands. There will be successes here and there — particularly for small shops who can keep their costs in line and put a LOT of effort into fan outreach via social media — but for that mass North American moviegoing audience we should be trying to tap, “comic books” = “superheroes,” and “superheroes” = Batman, Spider-Man, and Superman (and now also a host of lesser Marvel characters as well, thanks to a stellar effort from Marvel’s movie studio). Mark Waid has made news by shifting his creator-owned work to digital and I think he is smart to set up his own channel to distribute and monetize his work. He is definitely biting the hand that feeds him but the tide is inevitable and irresistible (and I have enjoyed his digital effort, “Insufferable”). The problem Mr. Waid will face is that there’s only a fraction of this already-small audience interested in reading his original books than there are people who want to read his Daredevil books. 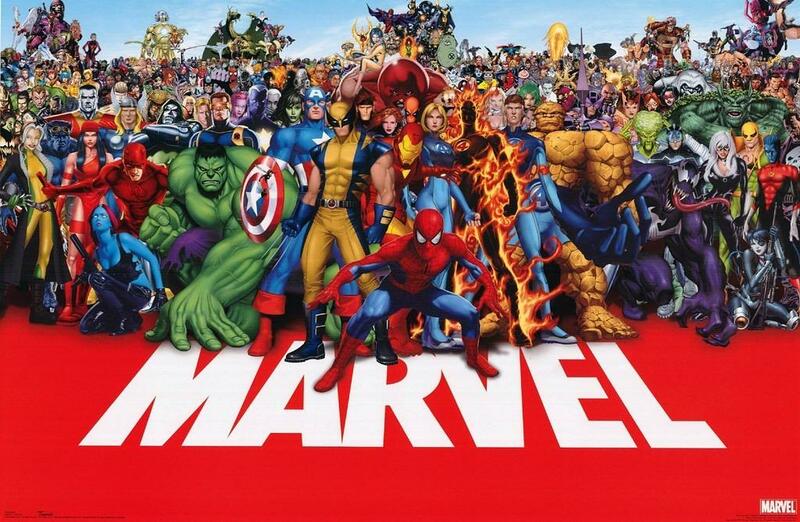 The power of the superhero brands is substantial (which is why the movie business is roaring, for the most part), and with seventy-five years of brand equity built up around their superhero rosters there’s no way any small indie operation is going to challenge Marvel and DC with superheroes for the mass audience. It’s a risk for Mark (because he is making a living off this business) but he’s wise to know the end is near and to make the jump too soon instead of too late. The disruption is real and no one will escape. The guys still standing at the end will be the ones who disrupted themselves and changed into new and profitable forms. So there you have my view — the major publishers afraid to take the leap, knowing there likely isn’t a far side of the ravine out there in the dark, while indie guys have the tools but don’t have the networks or the superhero properties the market cares about. In the next three years I expect you will see a few digital indie studios take root, clutch and grab to break even, and then be positioned to pick up the licenses to the big superhero brands when the monthly paper publishing arms of DC and Marvel inevitably collapse. The brick and mortar comics market will continue to struggle and is probably doomed. Fans will vote with their wallets and pirate digital books rather than pay inflated prices to placate direct market retailers. Publishers and retailers will remain chained to each other at the ankles, until the last second when the publishers will sever the chain and give retailers a shove over the side. Then the publishers better hope they still have an audience. Digital consumer habits for the next hundred years are being established RIGHT NOW and Marvel and DC are flirting with extinction because they aren’t at the center of it. Time is critical and there may not be a second chance to get this right. Note: This column original appeared at the We Talk Podcasts site, to support my appearance on the We Talk Comics podcast. This revised version of my Digital Comics Rant has been updated to reflect new information, and is reprinted here to support next week’s review of the Legends of the Dark Knight digital comic, as well as the pending release of the next Longbox Graveyard Podcast, which will cover digital comics. Thanks to We Talk Podcasts for providing a forum for the original version of this article. NOTE: Marvel Unlimited has changed substantially with the release of native apps for Android and iOS — read my updated review for details! Two weeks ago I looked at the book that I consider the future of digital comics. Today, I look into the past with Marvel Digital Comics Unlimited. It almost seems unfair to refer to any digital comics initiative as a relic of the past, but Marvel’s present online format debuted a hair over four years ago, which is approximately a century in digital time. The MDCU is a subscription based-service, differing from Marvel’s (non-compatible) iOS and Android apps in that it offers unlimited access to a back-catalogue of 10,000 titles, rather than facilitating per-issue purchase of day-and-date new titles. 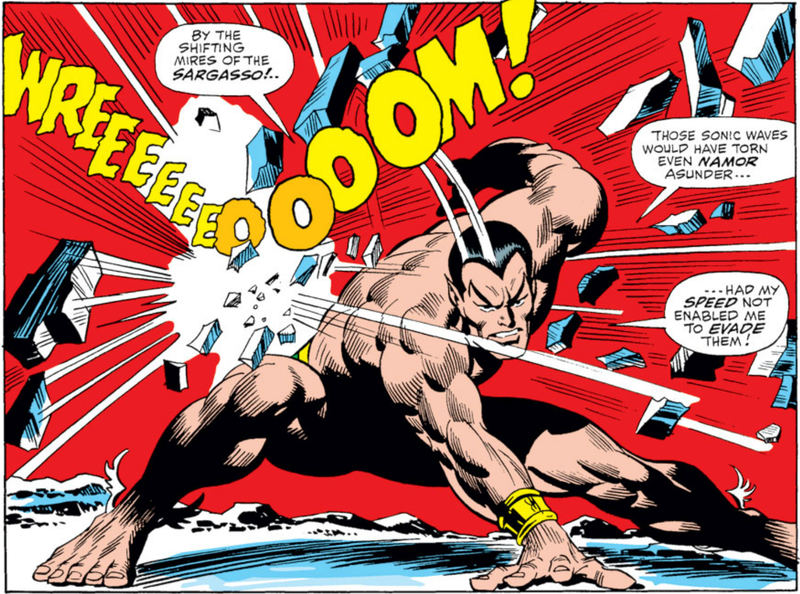 You can safely think of MDCU as a “Netflix for Marvel Comics” with the caveat that you won’t find anything more recent than books which streeted six months ago, with the bulk of the service dedicated to digital versions of Marvel books from decades past. For me this has proven ideal, as I have pretty much zero interest in contemporary Marvel books, but plenty of desire to fill in the Bronze and (especially) Silver Age gaps in my Marvel Comics reading experience. Given as I’m not obsessed with actually owning those old books (and in fact at times find the whole concept of a collection a burden), merely viewing — rather than physically collecting, or even downloading — these old books is fine with me. And the price has been right, too — a year’s sub for about forty bucks, thanks to a discounted subscription that my family scored for me over the holiday (finally, the geeky gift for the geek who has everything!). For less than the price of a Marvel Omnibus I can roll around in digital comic book heaven for a year, and if at the end of that year it all goes up in digital smoke, well, I’m no worse off than I am today, and hopefully better for having read hundreds of comics over the preceding twelve months. Overall I’ve been satisfied with MDCU but the experience is far from perfect. I mentioned that the system is four years old, and it shows, not least of which in that it is entirely Flash-driven, which knocks my iPad out as a viewer, because, as we all know, there ain’t no Flash on iOS devices. I did try to work around the Flash limitation by viewing the site using the Puffin browser on my iPad, but it was even more dreadfully slow than the stock Flash experience, and I could never quite get a full-page view dialed in the way I’d like via Puffin. It isn’t fair to hold MDCU to account for failing to function on a non-supported platform, but it is a bit frustrating that this otherwise-attractive service is unavailable on iPad, a device so well-suited to the “lean backwards” experience of digital reading. Instead the MDCU must be viewed on a computer with internet access, but even here the results are a mixed bag. The ideal system is a big, crisp display — MDCU seems to have been built with 27” and larger monitors in mind. My problem is that I’m not keen on sitting in front of a computer to read comics (computers are a “lean forward” experience), and there’s no way to get that big monitor to the couch or into bed where I prefer to read my books. A laptop is the obvious compromise, but you do give up the quality of the big monitor experience, and my viewing satisfaction is further exacerbated by owning a Macbook Air, which is a tremendous device for writing Longbox Graveyard, but a sub-optimal comics viewer owing to its 13-inch display. Below a certain screen size, you’re practically required to view the MDCU library using the “smart panels” option, which does a pretty good job of selectively framing a panel or two at a time, but makes it difficult to appreciate the overall architecture of a comics page, and feels a bit like reading your books through a knot-hole. Even on a large computer monitor, the horizontal aspect ratio of computer screens is at odds with the vertical orientation of a comics page, which is more ideally suited for, oh, I don’t know, maybe this iPad 2 here that I can’t use! Anyway, on a full-sized computer monitor, you can display a full page (or better-yet, two), lean back, put your feet on the desk, and comfortably read a book … but it still doesn’t compare to relaxing in bed or in a hammock or on some silken divan surrounded by a legion of Princess Leia slave girls with your complete digital run of Howard the Duck. … you know, the way it is if you pirate the books from online sights right now. 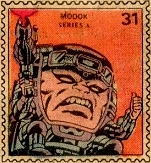 Regardless, I genuinely think forty bones is a more than fair price to view so many Marvel books of years past online. I knew full well going in that the reading experience would be sub-optimal so it really isn’t fair to complain about it. 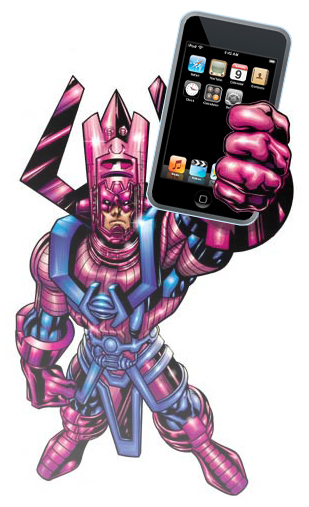 Hopefully Marvel will get their strategy sorted out and provide an iPad-friendly version of MDCU sometime soon. In the meantime, imperfect as it is, viewing these books via my Macbook is the only game in town. Unfortunately, the challenges of MDCU aren’t limited to the viewing experience. Browsing the site is slow, indirect, and earns failing marks. You can browse by Character, Series, Creator, Comic Event, and On-Sale Date, but everything is accessed through links-within-links, and every refresh of the page is painfully slow. Let’s say I want to browse the Fantastic Four. It may be the World’s Greatest Comic Magazine, but it isn’t in the default display for “Browse By Character.” Clicking “F” I wait a few seconds, then select from the “F” books on offer, then select Fantastic Four (as opposed to Fantastic Four (Ultimate)). Now two layers deep in the interface, I see books 1-20 of 1086 issues on offer. It will take me another two clicks to arrange the screen the best way for my purposes — displaying 100 titles per page, rather than twenty, and sorting from oldest book to newest, rather than the other way around — and the ancient Flash interface takes more than fifteen seconds to process each click. But even then … the first eight entries are things like Visionaries collections, Marvel Age re-imaginings, and Clobberin‘ Time Digests (WTF?) before I see the canonical Fantastic Four #1 from 1961 available for reading. What is worse, I have to jump through these hoops every time I want to browse a title, because as near as I can tell, there’s no way to save my preferences for browsing. I always want to view books from old to new with the maximum number of titles per page, but the system will always make me start with viewing them new to old with a minimum number of books per page. With all the books on offer I should feel like I’ve been let loose in the biggest comics shop on the planet, but this interface makes browsing and discovery a real chore. This has been a major disappointment. It makes me want to cry. I’ll get over it … somehow …! To get around this hurdle I’ve made heavy use of the “Must Reads” feature, which lets me checkmark a book for later reading. In theory, at least, this limits my pain in that I can go through my now-optimized FF list one time and just check off the books I want to read … though making check marks next to each book is no joy, and there’s still the wait time required to refresh each of the dozen or so pages as I move forward through the library. But having a robust “Must Reads” list is no picnic. Clicking “Must Reads” defaults me to an Issue View displaying only 10 books per page. I already have over 200 titles on my Must Read list, so that’s twenty pages of clicks to page through even my painfully-curated list. A “Browse Must Reads By Series” option would seem to offer some relief, by collapsing all those individual issue listings into series subheads, but maddeningly I am unable to actually launch and read books when using this view. Instead MDCU throws up a kind of checklist showing which books are on my list to read, but there are no links to the books themselves. Searching yields better results, but it seems feature-rich to little effect. 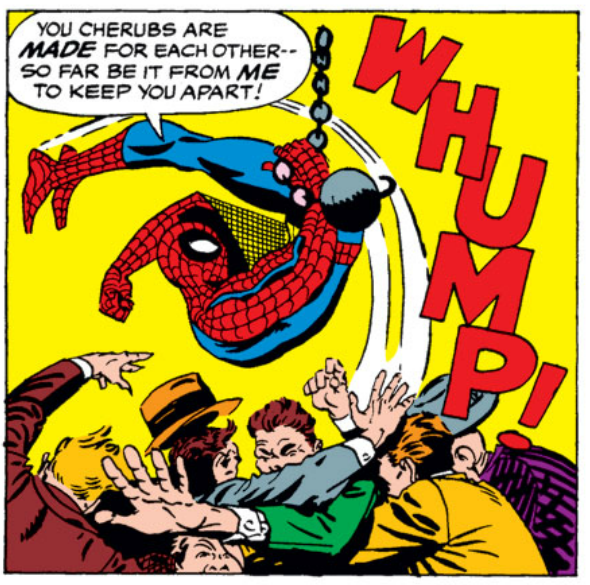 After seeing Amazing Spider-Man #229 lauded over at the excellent (and recommended) Chasing Amazing blog, I figured I’d look up that issue for myself. 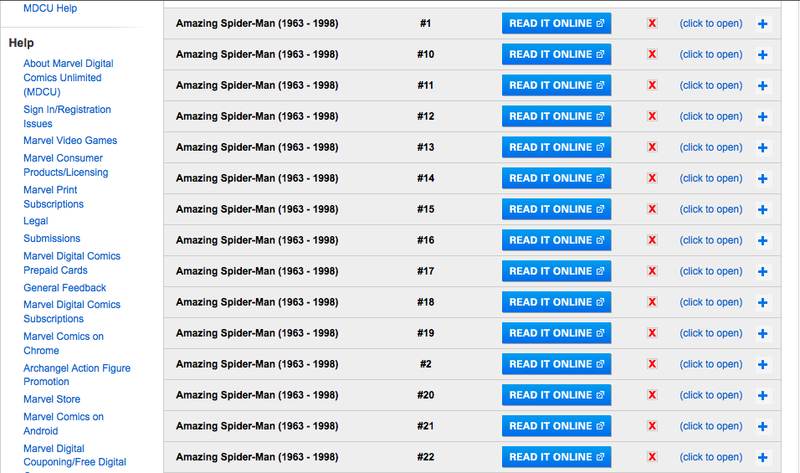 Entering “Amazing Spider-Man 229” into the search box and narrowing results to “Digital Comics” yields bupkis. 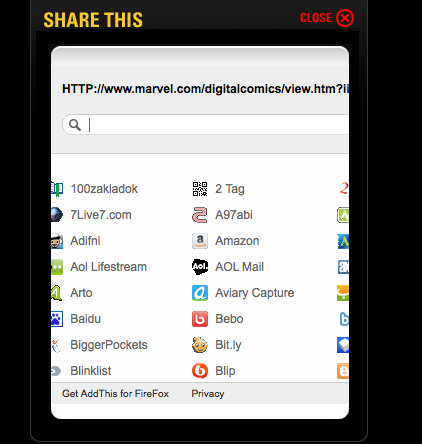 Entering the same string into “All of Marvel.com,” however, led me direct to the … ahem … digital comic, which I was then able to load and read. Why provide an option to narrow search results if only the general result will work? The whole interface is simultaneously over-featured and undercooked. For example, I can rate each issue after I’ve read it, between one and five stars. That’s nice. But what can I do with that rating? There’s no option to sort the books I’ve read by rating, or review and compare (and maybe adjust) my ratings after I’ve entered them into the system. My rating presumably influences the displayed rating for each book as a guide for other readers, but it is useless to me. It would be nice to pull up a list of all my five-star books to offer as a recommendation list for friends, or even to isolate the best books to show my kids when they evince a rare moment of interest in my hobby … but no can do. I can export my reading list as a CSV file but my Mac copy of Numbers couldn’t make much of the data. 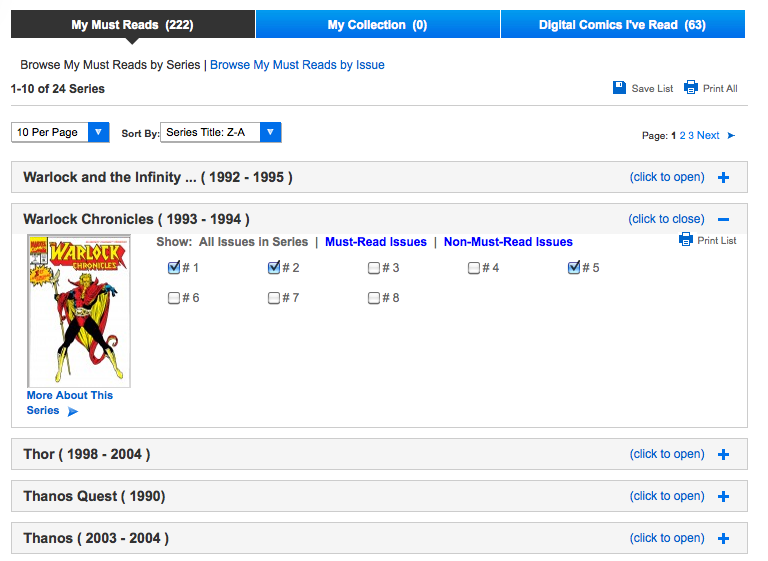 The “Digital Comics I’ve Read” view is just as cumbersome to use as the “Must Reads” interface, and doesn’t show my ratings at all, so there’s basically no “scorecard” experience for using the MDCU — no sense of accomplishment or feeling of gradually filling out a digital collection to offer even a transitory substitution for the experience of collecting and reading the books themselves. So much for sharing, really. This interface will result in pretty much zero virality, and seems a real missed opportunity for Marvel’s fans to spread the brand and co-opt their friends into the system. I’ve already touched on the reading experience, which is pretty good if you can get accustomed to reading your books one panel at a time. Most of the older books that interest me have pretty pedestrian page layouts, and the gestalt that I miss in not seeing entire pages is compensated for by seeing panels blown up several times their printed size, which has already helped me better appreciate a few artists (most notably Steve Ditko). You will also have to decide if you like the colors of these digital copies, which of course provide a substantially different look and feel than reading the original books. The system isn’t perfect and some of the page turns can take their sweet time but I’ve made peace with it. Be aware that I found one book — Thanos #1 — where the word balloons and panels were distorted and out of place, possibly a bug related to adjusting the zoom controls, but that this is first time I’ve found a book unreadable out of the seventy or so that I have sampled. So … aside from a rotten browsing experience, a pretty crap interface, long page loads, inadequate reading list tools, bad sharing tools, and material that suffers for being viewed on a laptop computer monitor, how did you enjoy the play, Mrs. Lincoln? Surprisingly, I enjoyed it. A lot. And it is all due to the content provided by MDCU. Once you start to get your arms around the scope of the books on offer here you can’t help but have your eyes grow wide. For a person like me, who took twenty years away from comics, there are entire lost decades to explore, to say nothing of the buried Bronze and Silver Age treasures I bought this subscription to read. 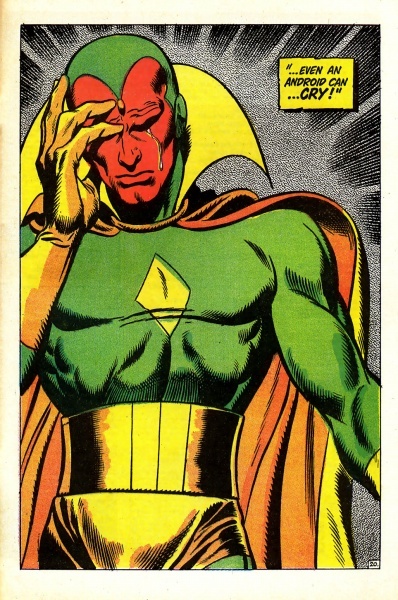 Sure, I’m no particular fan of 1990s comic books … but seeing dozens of Jim Starlin books from that era pop up in a search on that creator’s name encourages me to give them a try, and if I don’t like what he did with my Bronze Age favorites like Captain Marvel, Silver Surfer, and Warlock, then, well, I’m not out anything but my time, am I? Where will I find the time to read all these books? Just building a reading list is a full-time job! Am I missing some favorites? Sure. There are the victims of cloudy or lapsed licenses, like Conan and Master of Kung Fu, and some sad omissions like the original runs of Iron Fist and Ghost Rider. But there are also some nice exclusives, like the retro Captain America: 1940s Newspaper Strip, a 3-part series published in 2010 that tells a “lost” Captain America tale in an updated Golden Age style. In the final analysis, despite these three thousand words (!) bitching about the interface, I count myself a fan of MDCU, because there is just so much here to read and enjoy. There are gaps in the library, to be sure, and fans looking for recent books may be especially disappointed, but for an old timer like me, this really is digital comic book heaven. 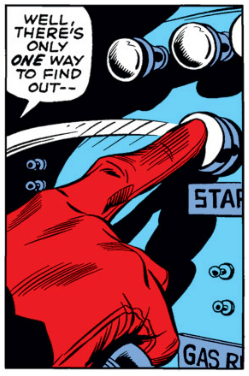 I like reading these old books on line far more than I thought I would, and maybe it’s a good thing I can’t do it on a tablet, and that the interface is trying to kill me, because I might otherwise disappear into the digital depths of Marvel’s universe and never come back. And with this I realize I have made a near-complete departure from the original mission of Longbox Graveyard. Instead of organizing, cataloging, re-reading, and evaluating my Bronze Age books out in the garage, I am instead leaping back even further in time to read lost Silver Age books, or scrubbing forward to read select series from the missing decades when I thought I was quits with comics for good. I feel that I am in love with comics like never before, and that I want to steal away to a cabin in the woods (with WiFi!) for a week to just read, and read, and read some more. I want to gorge myself on these treasures until four-colored digital ink shoots out my nose. It has driven home for me that I am a reader far more than I am a collector, and I can clearly see a day when I’d happily dispense with paper comics altogether in favor of this digital form that will some day prove superior.